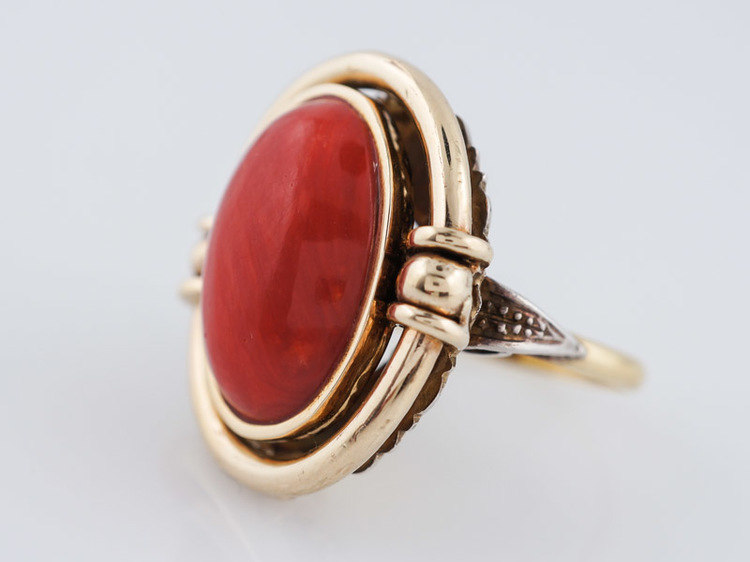 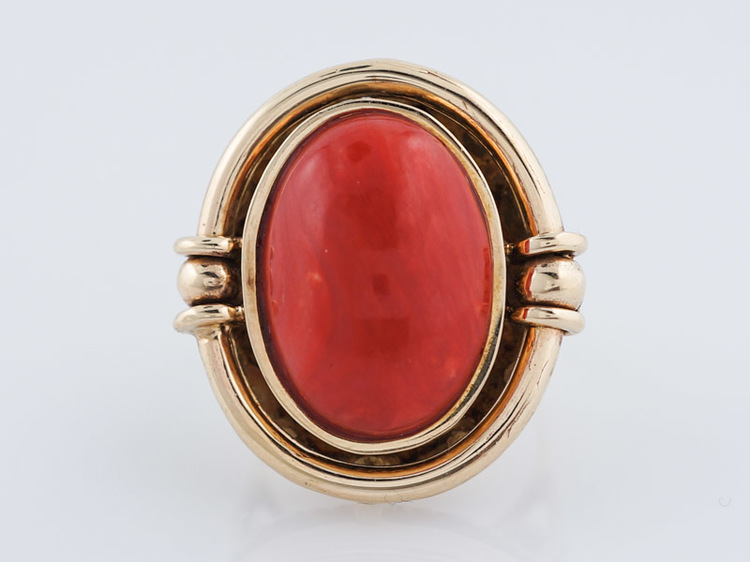 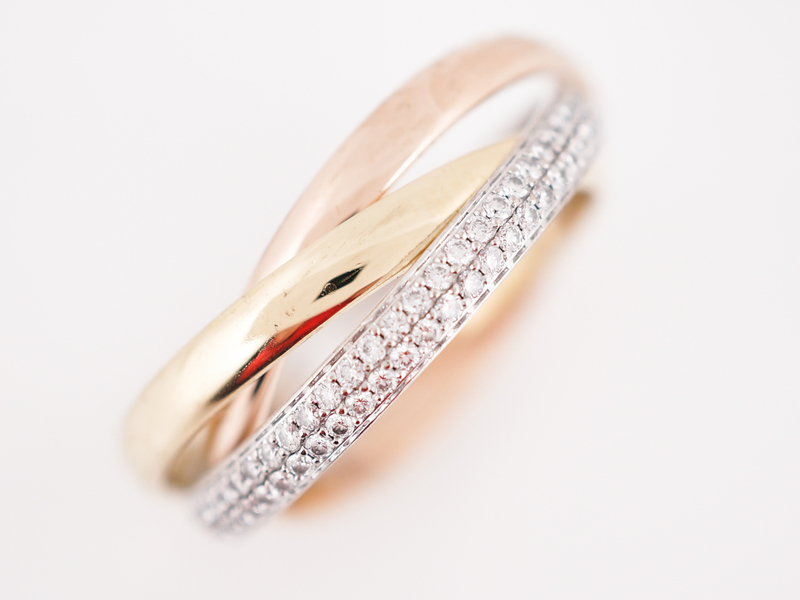 This Modern Era “roll” ring was made by Cartier, and is an elegant example of mixing metals. 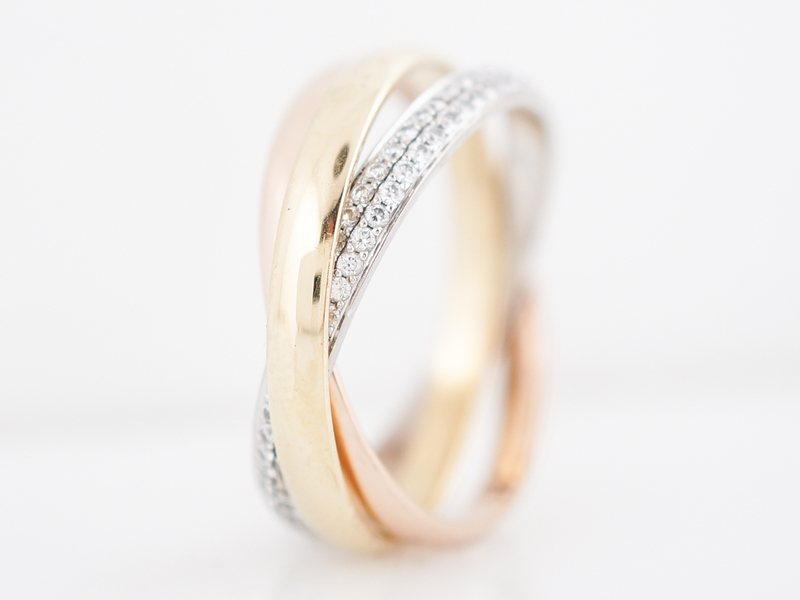 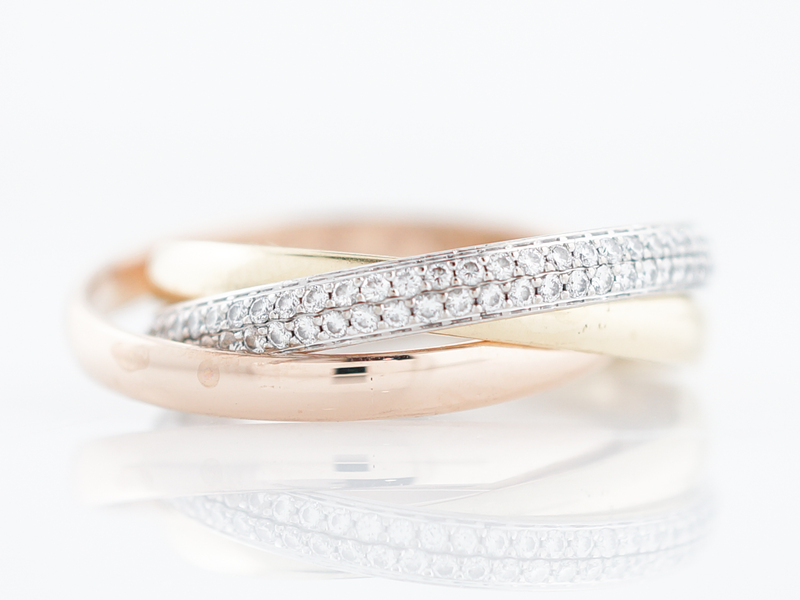 Three bands are intertwined but move individually, one rose gold, one yellow gold and one white gold with pave set diamonds – all 18 karat gold. 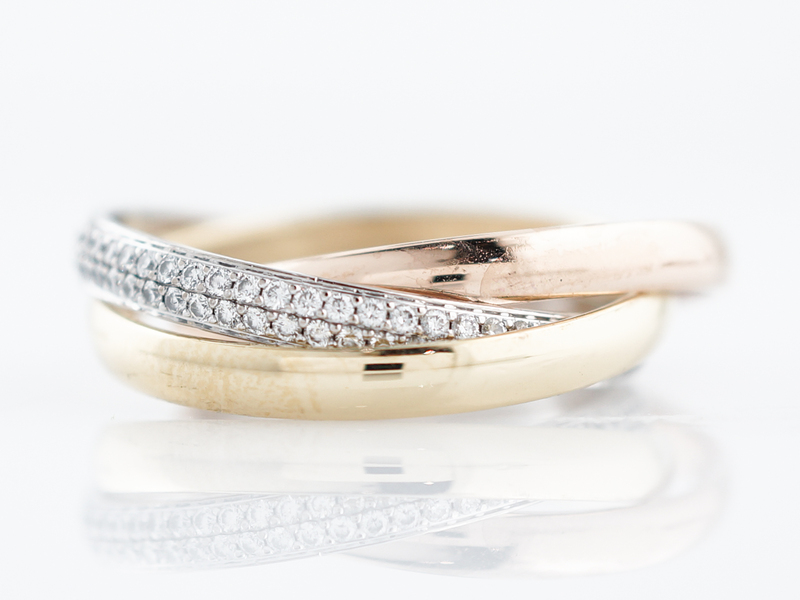 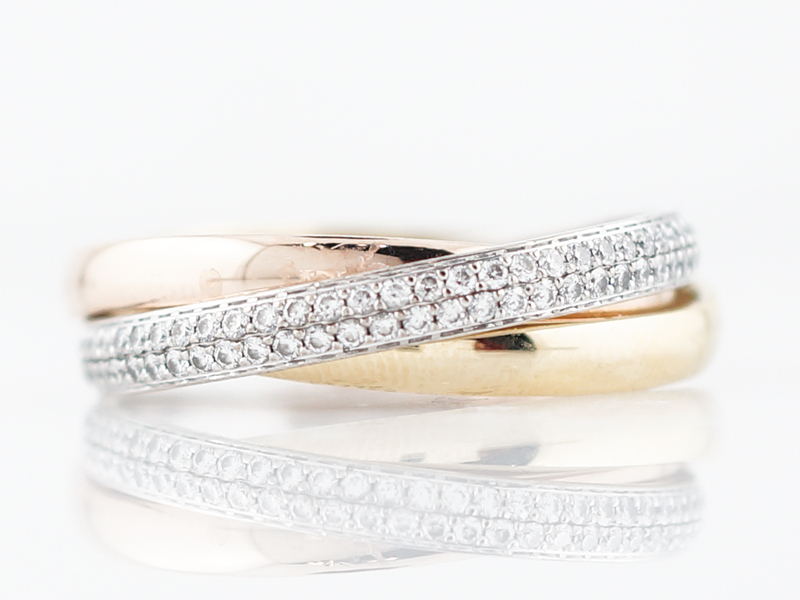 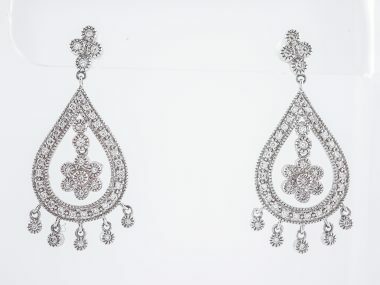 The white gold and diamond band has 1.18 carats of diamonds set pave style, one next to another for a glittering look. 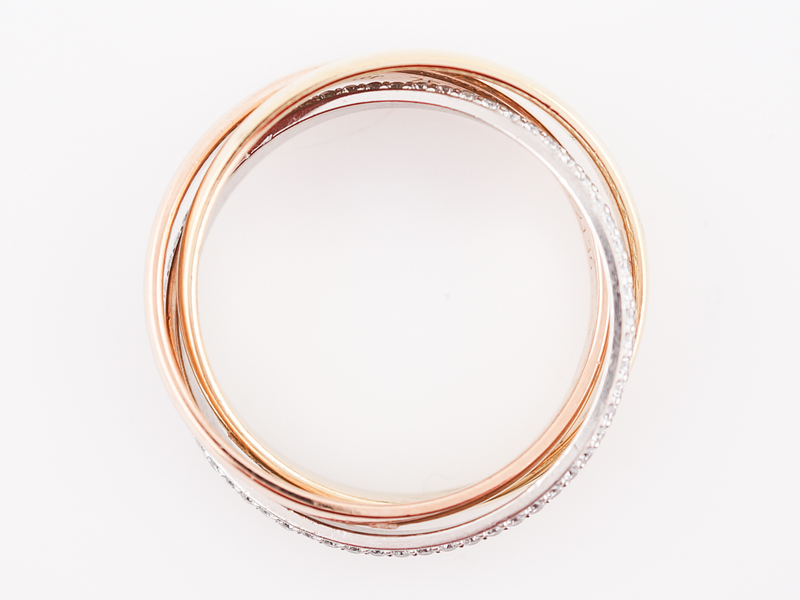 The play and movement of the three rings means a different one is always sticking out.